AEGEE-Brno, the Local of the Month for September, became quite the topic after their famous Summer University (SU), named “Out of the box”. The AEGEEan talked to Tereza Mikšíková, board member and one of the SU organizers, to also introduce the organizers’ point of view and to find out what other activities AEGEE-Brno carries out. Read on to learn what future plans they have up their sleeves and if you will have the chance to attend a similar SU next year. 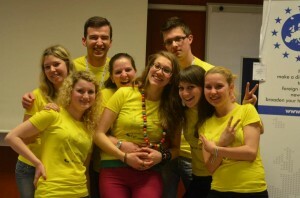 AEGEE-Brno has been active since 2007 although it officially had been founded in 1993 already. What is the history behind AEGEE-Brno? Tereza: AEGEE-Brno was indeed established in 1993 already, but because of the lack of new members, activities were interrupted till March 2007, when a group of students from Social Studies of Masaryk University visited the Model European Union organized by AEGEE and started to think about being active again. 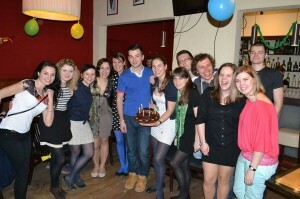 AEGEE-Brno was established again on 19 March 2007 and has been active ever since. What can you tell us about your members? We currently have almost 60 members with about 15 active members participating regularly in our projects. We are meeting every Tuesday to discuss our activities, but we often meet in our free time as well, because we just really like each other and we enjoy our time together. You organized a very successful Summer University (SU) named “Out of the box! Can you handle it?“. What was it about and what did you have to do with your participants to get them out of their boxes? Firstly, many thanks to Ivan Bielik (former president of AEGEE-Brno and now member of the Comité Directeur) who came up with the idea of this topic. From the first moment on, he believed that self-development could be an interesting topic for a SU. We were concentrating on Time/Stress Management, Public Speaking, Critical Thinking and Teambuilding. We prepared interactive workshops with interesting people and different activities on various places: from a toilet paper game, outside dinner cooking, trips, European Night on a train station to a rope center or interesting presentations. We gave our participants the space and the opportunity to get “out of the box” and we are happy they took the chance to use it for themselves. The feedback concerning your SU is very impressive: an article about it made it into the SU of the Week section and many nominations for AEGEE-Brno as Local of the Month came from enthusiastic participants. What made this event so special? This event was so special because of our participants! All of them were just amazing, very enthusiastic about every workshop or program we wanted to do, very disciplined and always on time. It was unexpected and basically shocking for us. We loved their attitude and all of those things together moved the whole SU onto a different level. We already had the chance to read about the SU from a participant’s point of view. What was the most special moment of your Summer University from the organizers’ perspective? It is really difficult to choose just one special moment. The whole SU was one amazing moment for us and it is impossible to separate it into smaller pieces. Because of such dedication from our participants, we had a chance to enjoy everything with them and develop ourselves as well. Did you have any troubles during the organization of the SU? How did you overcome them? Actually, we have faced some troubles with a quite low budget or lack of organizers present in Brno before the SU, but if there is anything we can do really well in AEGEE-Brno, it is improvising with a big smile on our faces. So before the SU started, we have managed to organize everything and to start as prepared as we wanted to be after all. Do you already have plans concerning next year’s SU? Will AEGEEans have a second chance to apply for something similar to “Out of the box” or will you rather try something new? We are now discussing the concept for the next summer, but nothing is decided yet. However, for sure we will want to do something a little bit different again, so keep checking our program. What kind of other events does AEGEE-Brno organize? Traditionally, AEGEE-Brno is organizing a SU, but also other activities. During the year, we are doing regular meetings, but also informal meetings for our active and new members. We are always enjoying our LTCs (Local Training Courses), birthday parties and visits of other antennae. We have also decided to resume with Czechoslovak weekends on November, where we can exchange our knowledge with AEGEE-Prague, AEGEE-Pilsen and AEGEE-Bratislava. The closest future for us is in terms of preparation for the next year. We have decided to spend a whole weekend on a cottage in the countryside together to discuss what we want to do next year and how. 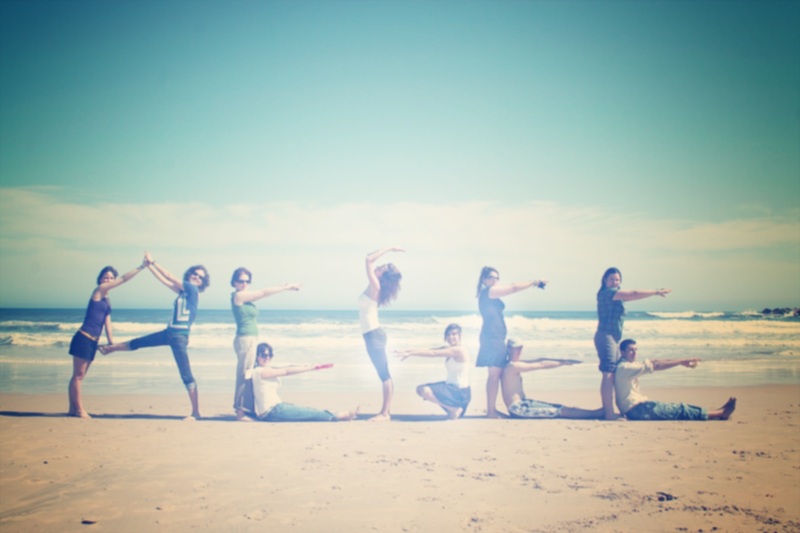 It will be our Out of the Box time and also a chance to have some teambuilding and fun outside of the city together. We would like to thank our amazing participants and all the people who constantly support us. We are thankful that so many great people are coming to Brno all the time, our doors are always open to you. P.S. : If you want to read something about our SU, find an amazing article from Silvija Peric, one of our lovely participants this year. Do you know any local that has done an outstanding job this past month? Remember that you can nominate them to become the upcoming Local of the Month! Read more about it under the following link.